Harvard University Press, 9780674053052, 384pp. The bombing of the federal building in Oklahoma City, the emergence of militias and skinheads, the rise of the religious right, the attacks on Planned Parenthood clinics, the backlash against equal rights movements, the increase in poverty...these, according to Bob Altemeyer, are all versions of one story--the authoritarian personality in action. But aren't authoritarians Nazi types, kooks, the Klan? These are just the extreme examples, he argues. 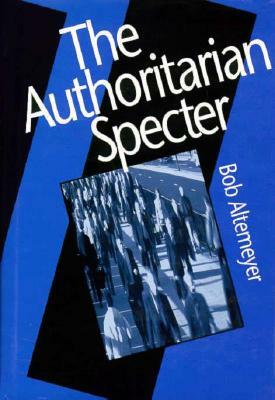 The Authoritarian Specter shows that many ordinary people today are psychologically disposed to embrace antidemocratic, fascist policies. The book presents the latest results from a prize-winning research program on the authoritarian personality--a victory for the scientific method in the struggle to understand the worst aspects of ourselves. It connects for the first time the many ways authoritarianism undermines democracy. Many of our biggest problems, seemingly unrelated, have authoritarian roots. The scientific studies demonstrating this are extensive and thorough; their powerful findings are presented in a conversational, clear manner that engages readers from all backgrounds. This is an important, timely work. It explains a growing movement to submit to a "man on horseback," to attack those who are different, to march in lockstep. Altemeyer reveals that these sentiments are strongly held even by many American lawmakers. These discoveries deserve careful attention in a presidential election year.